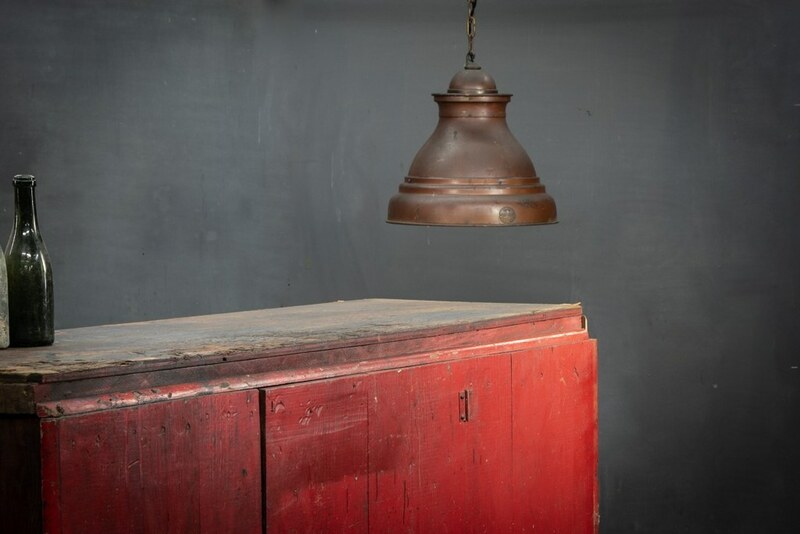 New York, 1920s, Vintage Industrial Macbeth Nautical Sea Craft Charting Table Pendant Hanging Light. 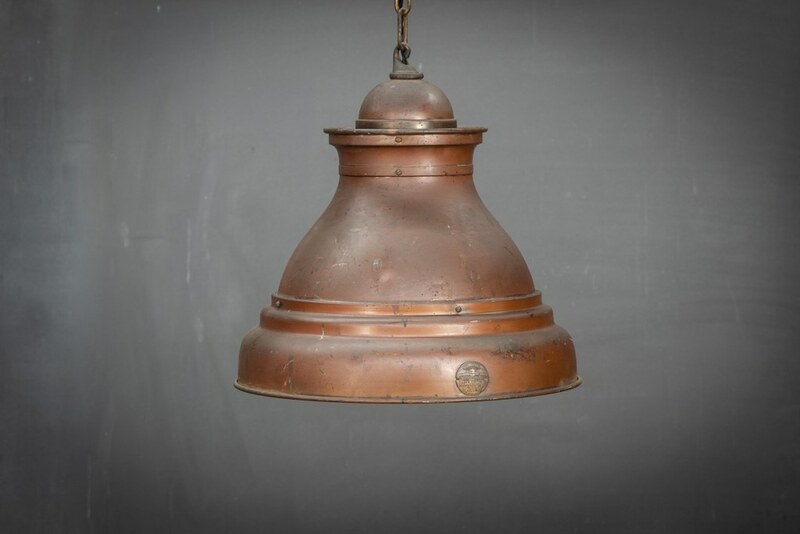 Solid Copper Body with a Large Daylight Correcting Blue Lens. Flanked by 2 Additional Lamps on each Side of The Housing. 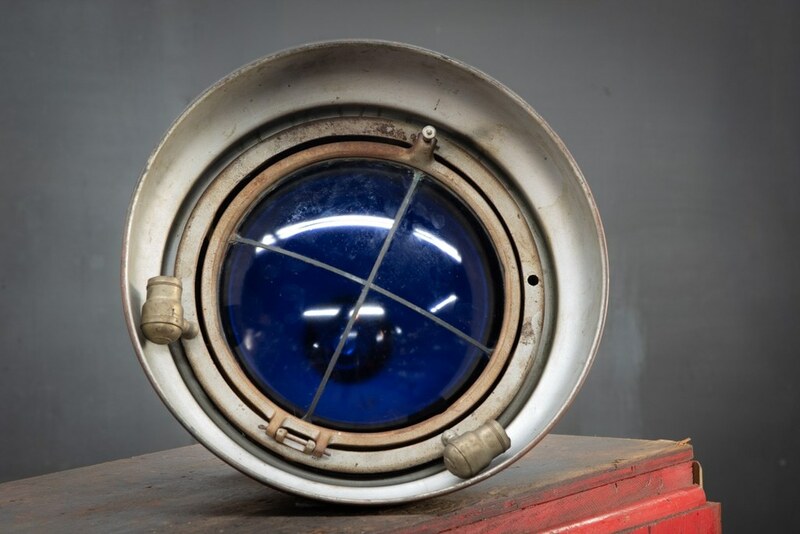 The Blue Lens Corrects Incandescent Light to Clear Daylight. 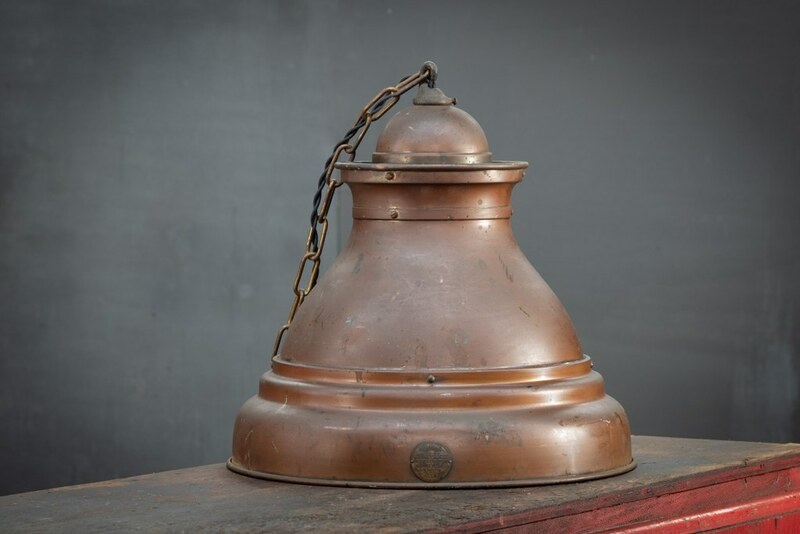 This Light was used over The Captains Charting Table for Clear, Precise, Navigation. Fully Rewired. 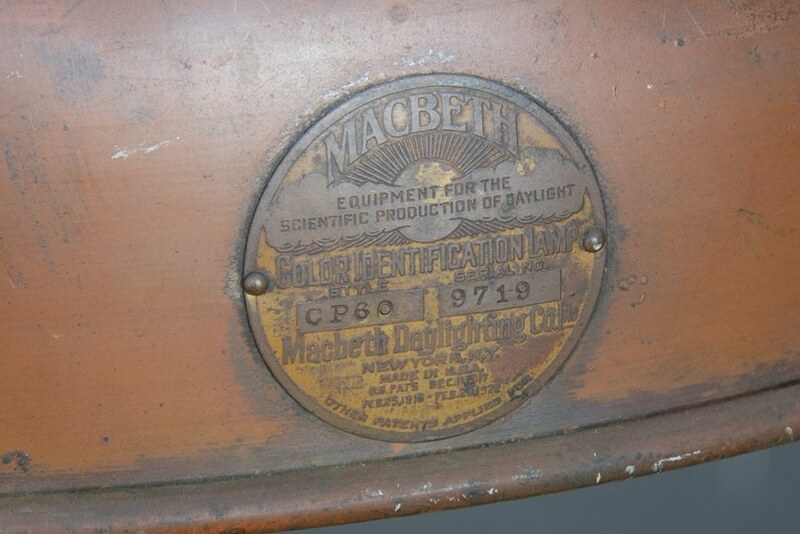 Warm Time Worn Patina. Macbeth Badge Present.